Scientists have discovered a new virus in the hot springs of northern Japan. It can turn amoebae into stone-like cysts and scientists have named it the Medusavirus. Researchers led by Masaharu Takemura at Tokyo University of Science, Hiroyuki Ogata at Kyoto University, Japan National Institute for Physiological Sciences, and scientists from Tokyo Institute of Technology isolated the giant virus from a sample of mud and dead leaves collected from a Japanese hot spring. This was reported in the Journal of Virology. Like the mythical monster from Greek mythology Medusa, this newfound virus can turn its host to “stone.” Thankfully, its hosts are not humans. The virus infects single-celled organisms known as Acanthamoeba castellanii, a type of amoeba. The virus infects amoebae and multiplies inside them, causing some to burst. Post-infection, other amoebae developed a hard outer coating or “shell” and enter a dormant state known as encystment. 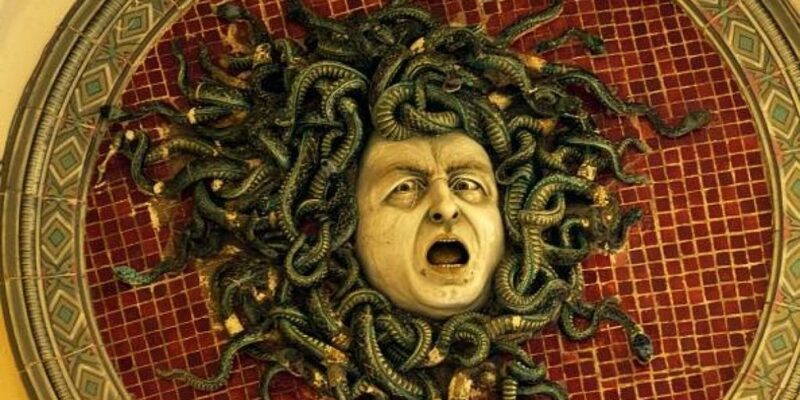 This prompted the researchers to name the virus after Medusa, the Greek mythological monster who turned onlookers to stone. 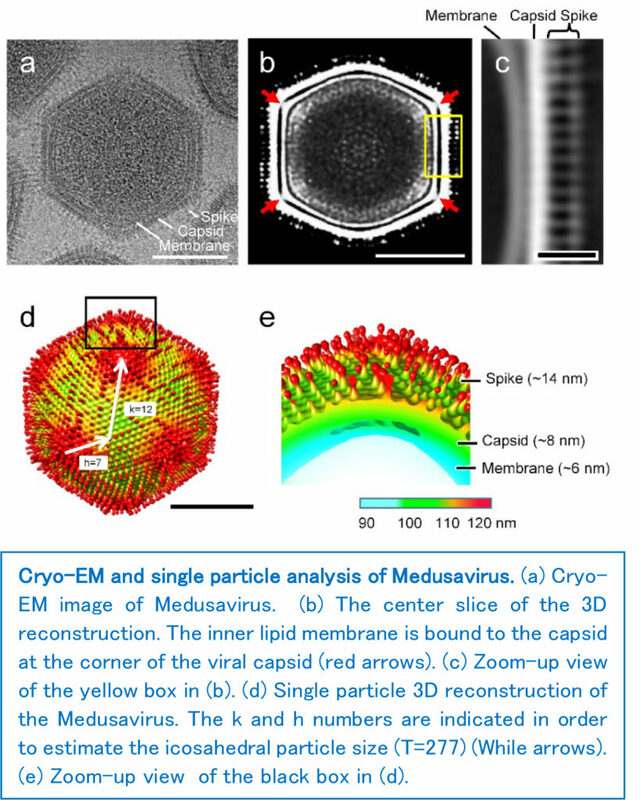 While the virus doesn’t have a head full of snakes, like Medusa, researchers found a unique feature on Medusavirus’ outer surface: on closer examination, researchers discovered that the virus’s genetic material is protected by 2,660 spherical-headed spikes. These unusual findings led the scientists to propose that the virus receive its own taxonomic family: Medusaviridae. Genomic and structural features indicate that Medusavirus is distantly related to other giant viruses. Medusavirus holds many distinguishing features compared with other giant viruses. Its DNA codes for all five types of histones, the key proteins that help compact DNA within the nucleus. In fact, no other known virus has all five types. Further, Medusavirus encoded neither RNA polymerase nor DNA topoimerase II, whereas all other giant viruses encode at least one. In addition, several genes in Medusavirus were also found in its amoeba hosts suggesting that Medusavirus has infected these amoebas millions of years (or more) ago and the two microorganisms (amoeba and Medusavirus) have exchanged genes over the course of evolution possibly through lateral gene transfer going both directions — host-to-virus and virus-to-host. “Medusavirus is a unique giant virus that still preserves the ancient footprints of the virus-host evolutionary interactions,” the researchers said in a statement. The team of experts in virus hunting, molecular biology, structural biology, bioinformatics intends to study the infection process of Medusavirus in more detail, including the role of the viral histones and learn more about how the billion years’ co-evolution occurred between giant viruses and eukaryotes.